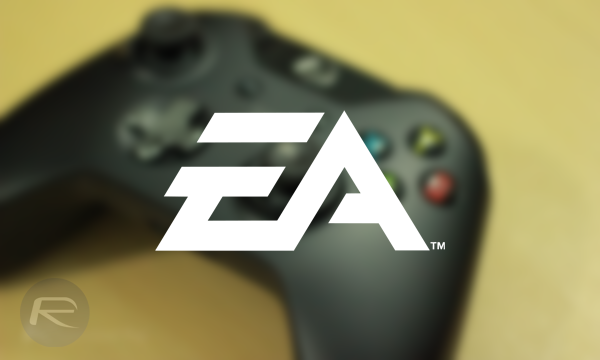 A short while ago, EA announced a deal with Microsoft that would allow gamers to play a number of titles from its catalog for a subscription fee. At $4.99 for the month or $29.99 for a whole year, it seemed to good to be true, but in actual fact, it just got even better. Having already announced a bunch of titles eligible to subscribers, including FIFA 14, Madden NFL 25, Peggle 2 and Battlefield 4, the publisher has just taken the wraps off the "Vault." Any title added to the Vault will be playable by those tethered to the subscription deal, and what’s more, they’ll stay there indefinitely. 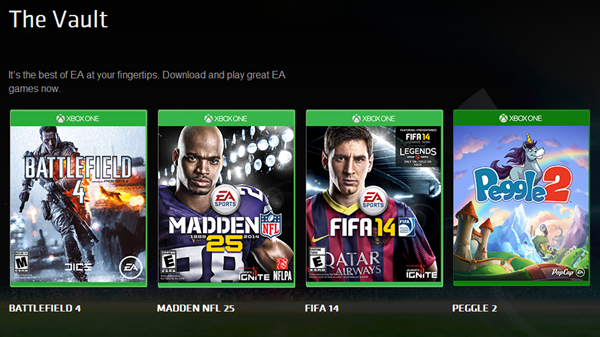 EA and Microsoft’s tie-in is a landmark in the gaming industry, and will be mutually beneficial to each party. Not only will it help EA to attract more gamers, but it’ll also present the Redmond’s Xbox One with a trump card over the PlayStation 4, which it currently trails based on early sales figures. As the Vault continues to grow, the already enticing prospect of the subscription will surely be just too good for Xbox One owners to turn down, and although one may assume that selection available through this new hub will be scant and underwhelming, EA assures fans that this simply won’t be the case. In fact, the company’s COO has already stepped out and promised that "The Vault will gets its share of triple-A titles," and although it’s likely that said games will have had a good run before they do reach this coveted cauldron, it’s still exciting news. EA is one of the foremost publishers of great games, and although this is the first time a major purveyor of video games has teamed up with a console maker for a subscription-based all-you-can-game model, it will surely catch on if successful. Given the early enthusiasm from commentators and gamers alike, there’s a good chance that this collaborative effort will be a fruitful one, and considering the fears many had about the cost implications of next-gen games prior to the launch of the PlayStation 4 and Xbox One, it’s fair to say that this move works very much in the favor of console owners. Will you be subscribing to this new package? Given the benefits it offers, we’re certain you don’t want to pass out on this one. Hmmm il still a little skeptical. My experience of said “vault” services is a bad one, if anyone has used the wuaki tv streaming service will know their vault is full of rubbish. Why to people hate like this? It sounds like an awesome service, I personally look forward to unlimited gaming at $5 a month. If it flops, then it flops but why waste your energy on negativity in the meantime.